Today’s culture is constantly searching for convenience without having to give up on quality. Food sales through e-commerce outlets are quickly growing as more and more shoppers use grocery delivery programs than ever before. In addition, meal kit subscription boxes are around every corner with the ability to create a home cooked meal without having to leave your home for supplies. Bakery packaging is no exception, with options to deliver friends and co-workers freshly baked cookies or a box of intricately decorated and flavored cupcakes. 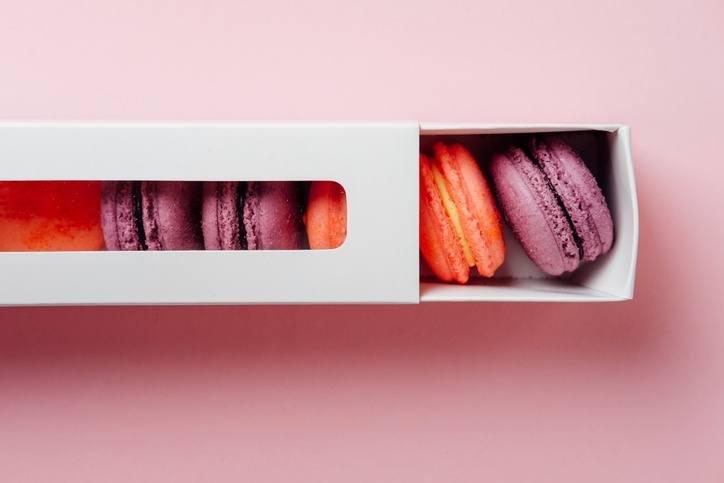 Providing the added convenience of ordering online, bakery packaging is quickly evolving in the e-commerce world, and helping to add to the user experience. Partnering with an e-commerce and supply chain solutions provider will help optimize your logistics and supply chain management to increase service levels to your customers. You put in a lot of effort into making the perfect baked good for your customers, so why should your packaging be sub-par? Remarkable bakery packaging is all about finding ways to stand out above the crowd and creating buzz around your product. Bakery packaging utilizes several core packaging materials and supplies, including corrugated shippers, plastic poly bags, clamshell packaging, and chipboard boxes. Working with an expert packaging design engineer to create beautiful, eye-catching bakery designs, in addition to inventive personalization techniques, will surely help your product to sell. If you’re in the business of selling bread, cake, or other scrumptious bakery treats, delicious package designs will definitely persuade hungry buyers to buy. If you feel that your baked goods could benefit from one or all of these concepts, but aren’t sure how to go about changing your current methods, contact Victory Packaging. Our specialists are waiting to assist you with your packaging needs to help your business grow.